The holidays are just around the corner, and that means that it’s time to dust off your decorations and get in the holiday spirit. There is no question that children love the holiday season. Between spending time with family, baking sugary treats and receiving presents from Jolly Old Saint Nick, what’s not to love? 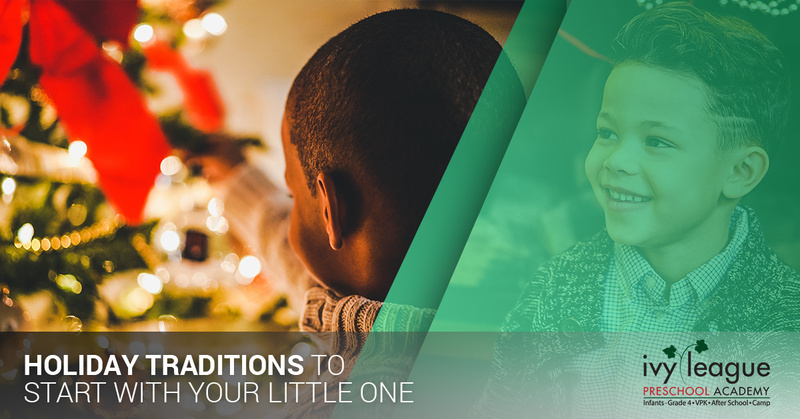 Traditions are a large part of what makes the holiday season so special, and they can be a great way to get your little one involved with the holidays. In today’s post, we will give you a few ideas for new traditions that you can start this season to help spread the holiday spirit. At Ivy League Academy, our mission is to help promote lifelong learning in children of all ages. We offer a variety of programs ranging from infant care and preschool to our voluntary prekindergarten education program (VPK). Our programs are designed to encourage mental, physical, and social growth, and we even offer holiday and summer camp programs to continue education even when school isn’t in session. If you are interested in learning more about our preschool, VPK, or infant care in Port St. Lucie, contact Ivy League Academy and schedule a tour today! 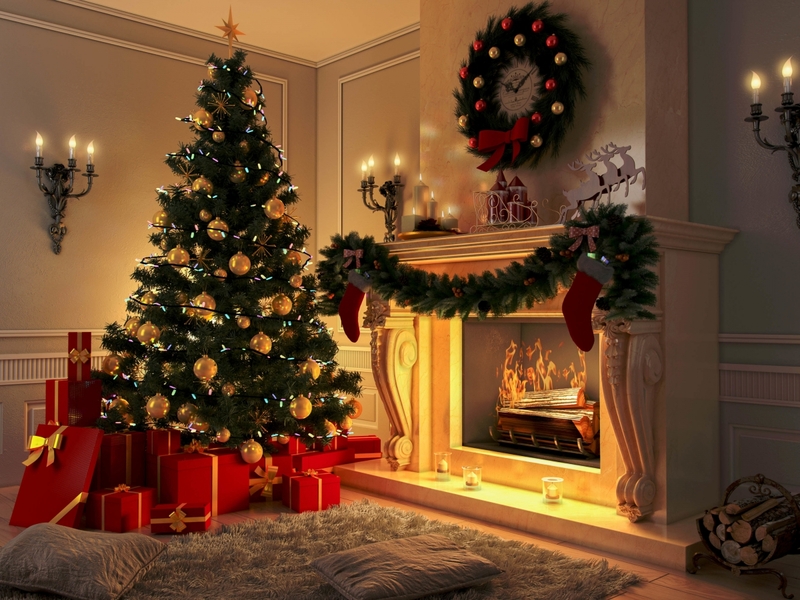 A Christmas tree is one of the most well-known symbols of the holiday season, and it’s a great way to bring the beauty of the outdoors into your home. One way to involve your entire family in your holiday traditions is to pick out your tree together. It may be easier to go to a parking lot lined with trees, but if you really want to make the outing something special, try going to a Christmas tree farm. Most farms give you the option of picking out your own tree and cutting it down yourself. Choosing to select your tree from a farm instead of a lot not only gives you more options, but it can also give you an opportunity to teach your little ones about where Christmas trees come from. Once you find your perfect tree, you can take it home and decorate it while sipping on cups of delicious hot cocoa. Watching a movie may not seem like a holiday tradition, but traditions are all about spending time with your family, and what better way to spend time together than watching a movie? There are numerous holiday movies for all ages, so you can easily find a movie that everyone will love! The key to making your yearly movie night something special is to only allow your family to watch holiday movies during the holiday season. When the holidays finally arrive, you can pull out your favorite movies, pop some popcorn, and gather around the TV to watch your favorite stories unfold. You may even decide to combine the traditions of decorating your tree and watching a certain holiday movie. In recent years, the holidays have become more materialistic than many would like to admit. While it’s nice to buy presents for the loved ones in your life, it’s also important to teach your children that you can also bring joy to people by doing something nice. With that in mind, another tradition you can adopt this holiday season is volunteering during the holidays. No matter where you live, there are always many ways that you can volunteer your time in your community. Help out at your local soup kitchen, or sort through food at a food pantry. You can also join a group that picks up trash on the beaches in an effort to clean up our oceans. If your child loves animals, look into donating your time at your local animal shelter! There are endless opportunities to volunteer during the holiday season and one day your child may thank you for teaching them the importance of giving back. Cookies are a staple during the holiday season, and there are many different varieties that you can make. If you are someone who enjoys baking cookies for the holidays, you can take the opportunity to include your kiddo and make it a tradition. 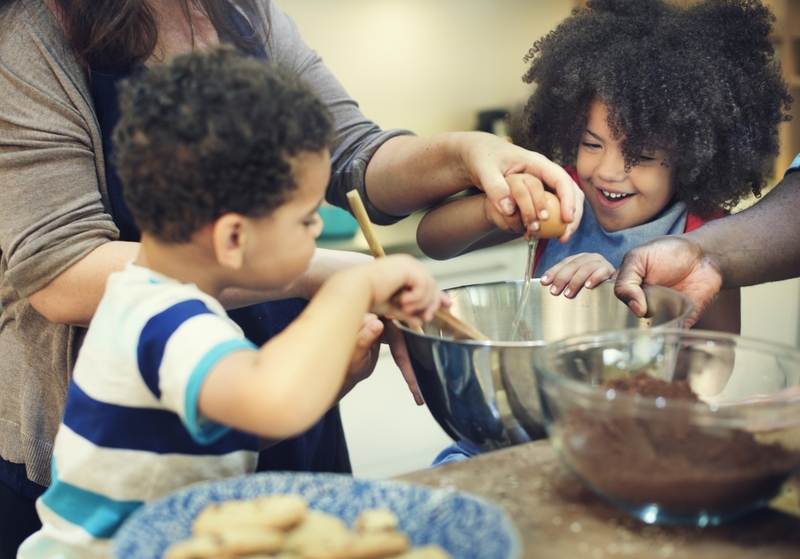 Depending on the age of your little one, including them in the baking process may simply consist of handing them pre-measured ingredients to pour into the bowl. However, if your child is a bit older, you can have them pick out a few recipes that they want to make, or you can assign them small tasks like measuring the sugar or cutting out the different shapes. Interested in Enrolling Your Little One at Ivy League Academy? At Ivy League Academy, we encourage any and all opportunities to help children grow and develop. We offer a variety of programs, including infant, preschool, and VPK, as well as both holiday and summer camps. If you’re looking for a way to encourage academic, mental, and physical development while school isn’t in session this holiday season, give us a call to learn more about our holiday preschool camp or stop by our school in Port St. Lucie today! I Need A Photo Preview Password!